– A maximum of 15 players may be on a team roster. Only 13 t-shirts will be provided to teams. – Players of all genders and identities are welcome to participate, with the exception of those who identify as cisgendered men. 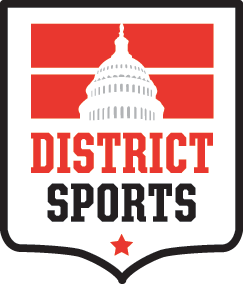 – Players must add themselves to their team roster on the District Sports website by posted dates. Any player who does not do so will not be allowed to participate. – Teams should check in to the main tent at least 20 minutes before the start of their first match on to receive their team’s shirts. The shirts must be worn as the team’s uniform unless special permission has been granted by tournament staff. – All team players will need to be named on team’s roster and be able to present a picture ID at check-in. – Lost team shirts are not the responsibility of the tournament administration and suitable replacements must be made by the team before play begins. – Players, coaches, and spectators are expected to conduct themselves within the spirit of the Law as well as the letter of the Law. Displays of temper or dissent are cause for ejection from the game and surrounding field area. – All Referee decisions during game play are final and can not be over ruled. – Any player receiving a red card will be disqualified from all remaining tournament game. – Teams will be divided into skill divisions. Within each division there will be separate groups. Each team will play at least 3 games. – 3 points for a win, 1 point for draws, 0 points for a loss. – Qualification for knockout rounds will depend on registration and division make-up. Teams / players will not be granted refunds within 5 days of tournament. Should District Sports be forced to cancel the event within 5 days of the scheduled date, we withhold the right to retain fees commensurate with cost of our non-refundable fees such as t-shirts. – All players must wear proper equipment to play in all matches. Shin guards must be fully covered by proper socks. Any items that have hard plastic or metal parts are considered dangerous and not allowed to be worn during play. – If a team is unable to field a proper team (at least 5 players) within 5 minutes of the scheduled start time of the match that team will forfeit the match and the opposing team will be awarded a 3-0 victory. If neither team is able to field a proper team on the field both teams will forfeit the match to be recorded as a 3-0 defeat for each team. – The field of play has been modified to suit the number of players and field locations. – Teams are allowed unlimited substitutions so long as two of each gender remains on the field. Substitutions are on-the-fly. 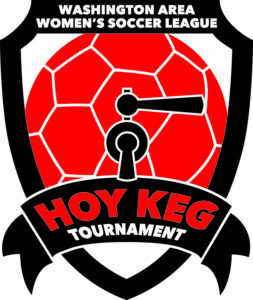 – First round games will end in ties at the end of regulation play; subsequent elimination games from the second round and on will be determined by a 3 round penalty kick shootout. If the shootout is tied after three rounds a sudden death shootout will commence until a winner is decided. – Slide tackling is not allowed, except by the goal keeper inside their own penalty area, and can be considered either a foul or playing in a dangerous manner as determined by the referee. – Yellow cards are not cumulative and do not carry over from previous matches. – Referees will send players who have received yellow cards off the field for at minimum a 2-minute “cool down” period. They may be replaced on the field of play. – Any player receiving a red card shall be disqualified from current match as well as any subsequent matches.